A Weekend In Köln – Sunshine. Whimsy. Tacos. Continuing on my longstanding trend of seeing new cities because there’s a concert there that I want to see, I went to Köln (Cologne) to see Owl City. I’d seen them once before, in Orlando, and the previous show was bigger- more people on stage, real stringed instruments for the violin and cello bits, and so forth. This time around, it was in a smaller club with a smaller lineup. Still a great show, though. 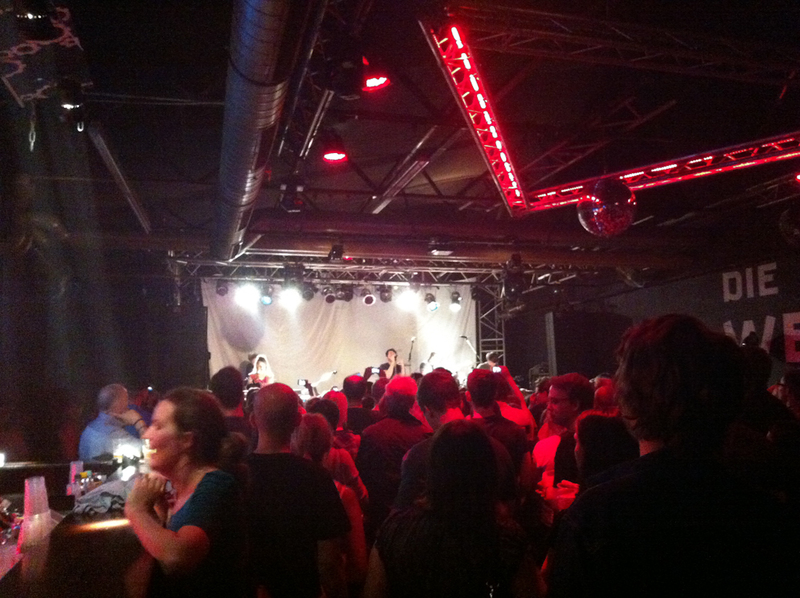 There’s more to Cologne than a happening concert venue, though. While I didn’t see the entire city by any stretch of the imagination, I did see some nifty parts of the city. 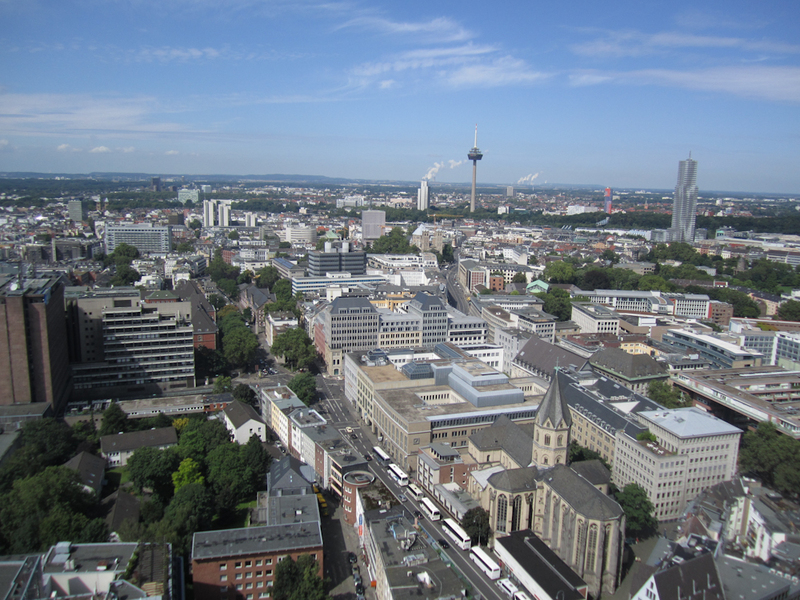 Here are some interesting things about Cologne. 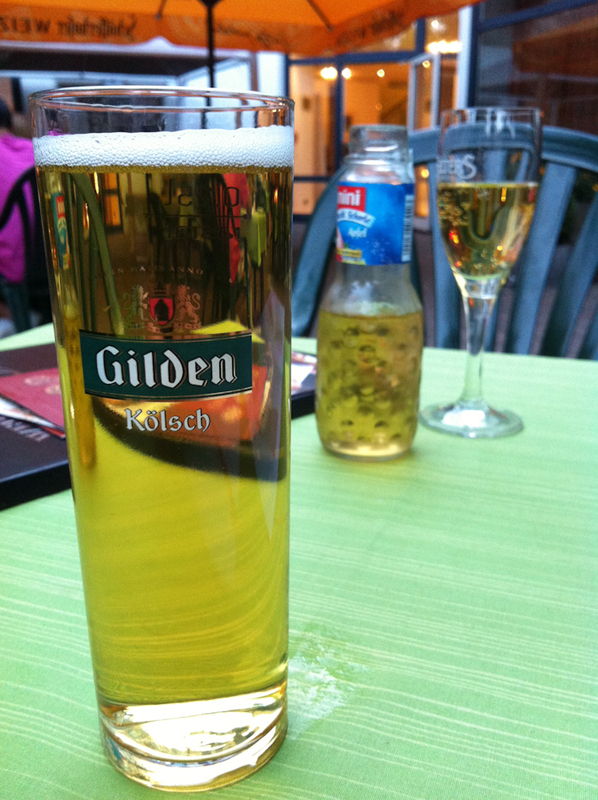 The local beer, called Kölsch, is a pale and tasty drink which is usually served cold in very small cylindrical .2 liter glasses. The picture below is an abnormally big one. In pubs in Cologne, the common practice is to immediately bring you a new one every time your glass is empty without any prompting. To make the beer stop flowing, you have to leave your glass half full or put your coaster on top of it. 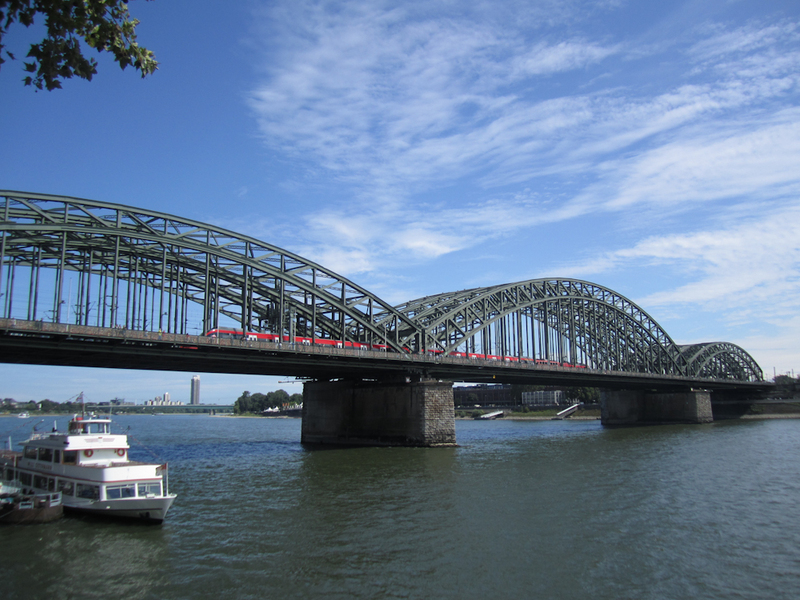 If you arrive to Cologne via train as I did, you come in on the Hohenzollern bridge, which crosses the Rhine river. This is the most heavily used rail bridge in Germany, with around 1200 trains passing through it every day. 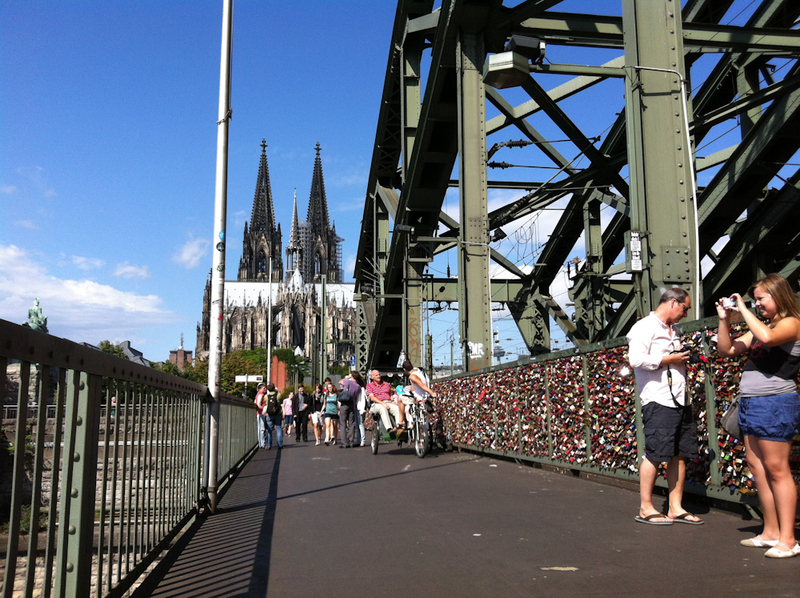 The bridge also has a pedestrian walkway alongside the tracks, and since 2008, the fence between the footpath and the train tracks has been covered in love locks much like the bridge here in Regensburg. While I was taking these pictures, a couple got married a few meters away from me, and then placed their own padlock on the bridge. You can’t miss the Kölner Dom when you come out of the train station. 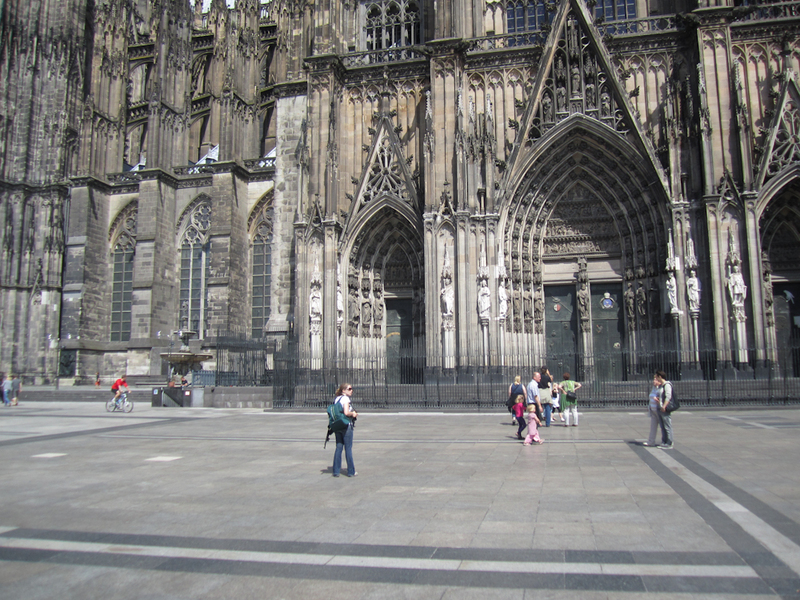 The cathedral is enormous and it was constructed in Gothic style, just like Regensburg’s Dom*. As a result, the look and feel of the place is very similar. It’s just much, much larger. It’s huge. No, really, it’s enormous. Here’s a closer shot to give you a sense of scale. 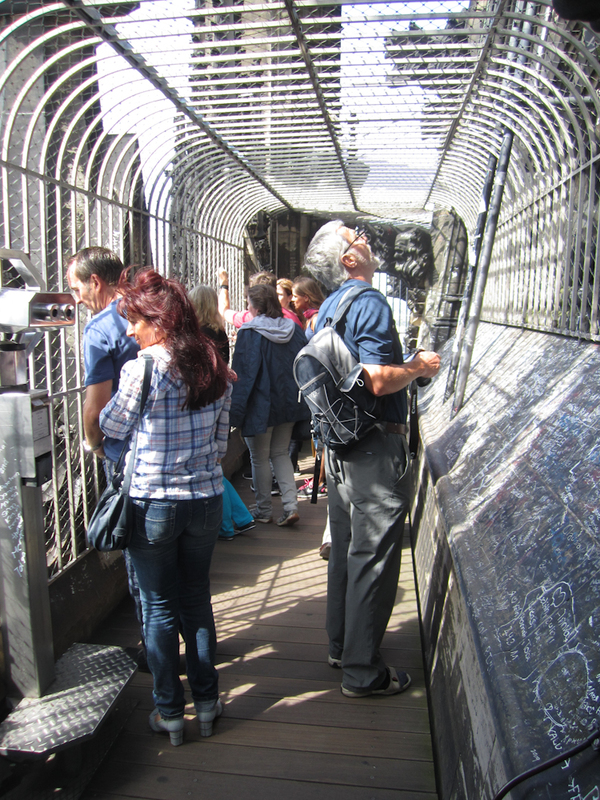 Climbing the spire is a pretty popular tourist attraction. It’s 509 spiralling stone steps to a viewing platform just over 322 feet above the ground. They’ve put in fencing to keep people from dropping stuff, but even with the fencing, the view is pretty spectacular. 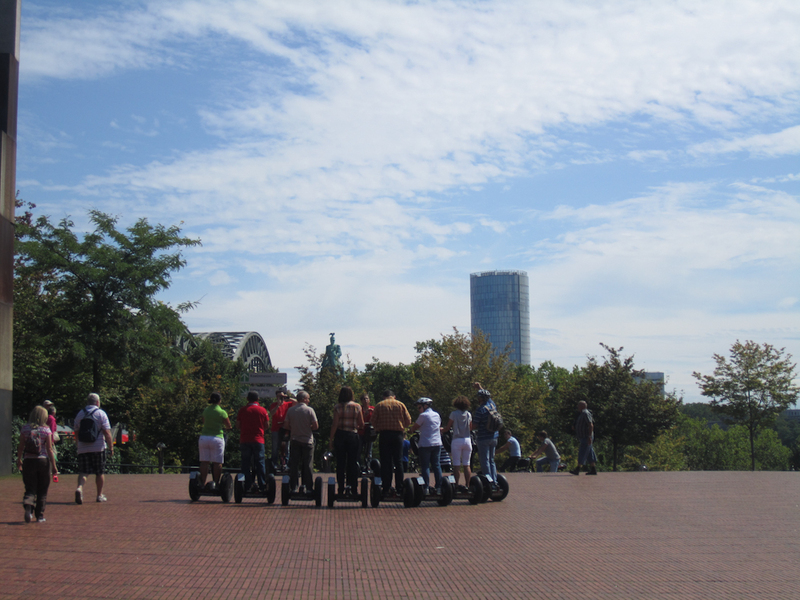 Look, a Segway tour group! I swear, I’m gonna ride one of those things some day. 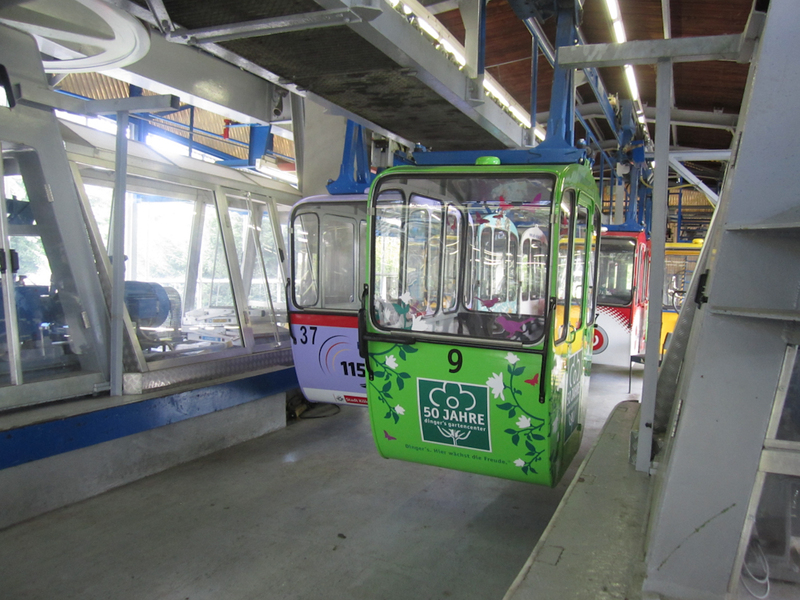 The Kölner Seilbahn has been crossing the Rhine river since the late 1950s. With my previously established love of tall places, it’s a given that I had to ride it across. Of all the museums I’ve been to, the Schokoladen Museum is my current favorite. The actual history of chocolate wasn’t all that interesting to me, but the place has functioning chocolate manufacturing processes which can be seen at various steps. 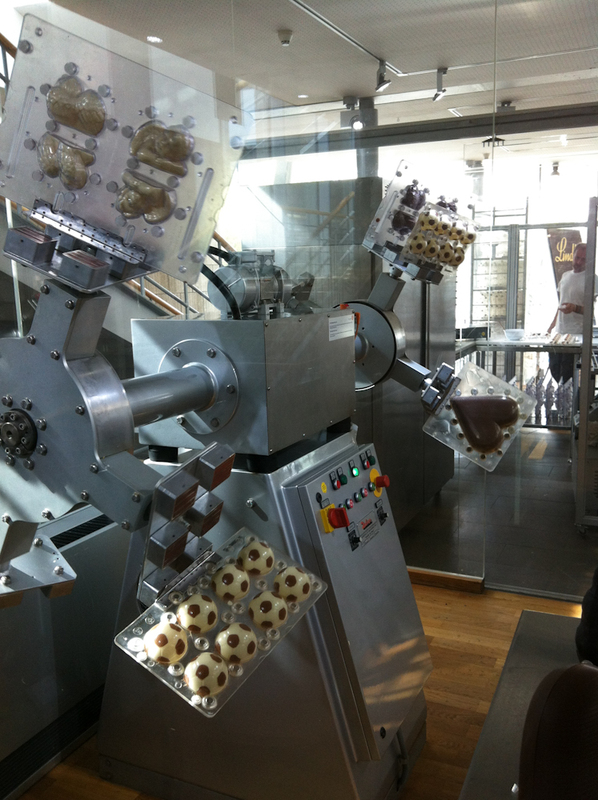 One part is an entire automated line which made the small chocolates that are given to each visitor as they enter the museum. The machine below is constantly turning molded chocolates in various shapes as they dry and harden. The city is adjacent to another nearby town, Brühl, which is the home of the PhantasiaLand theme park. That’s another post, though. Nobody can do it like a Dampf Lok! I’m a pretty loyal Weißbier girl, but I had some great Kölsch last fall in Köln. Päffgen Brewery serves it up really cold and really frequently. You become good at covering your glass with your Bierdeckel or you suffer the consequences. Well, I’m not much of a Kölsch girl (most Germans who don’t live around Köln consider it a bit watery)! I think Köln is super entertaining, but what’s a bit annoying are those big groups of bachelor(ette) parties traipsing throught the city at the weekends doing *irony on* super fun things *irony off* – don’t know if you saw many of them. Last time I saw a group of men dressed as pilots with the groom dressed as a female flight attendant. Weird! Anja, I’ve seen bachelor and bachelorette parties in every city I’ve been to so far all over Europe. Sometimes they’re amusing, but mostly they’re just noisy. 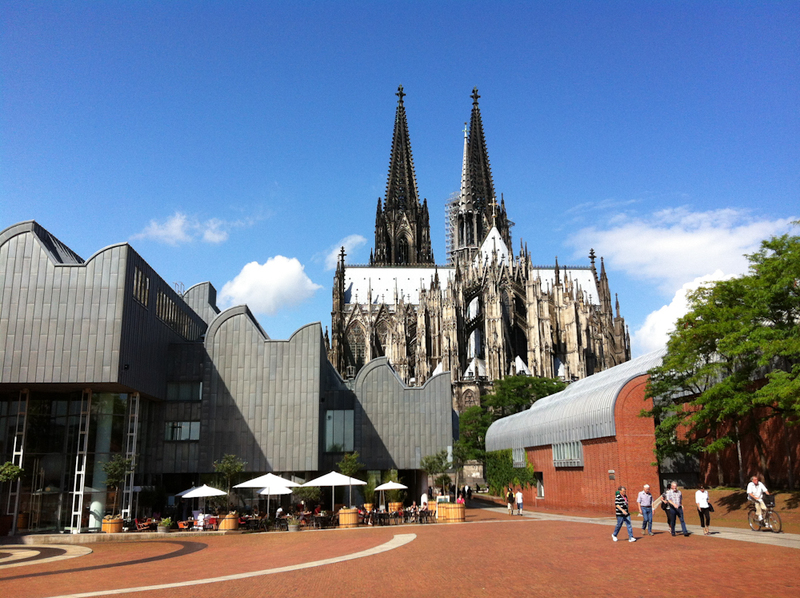 I recently went to Cologne also. I think the locks are the bridge are a nice touch and it’s cool that your city does similar. 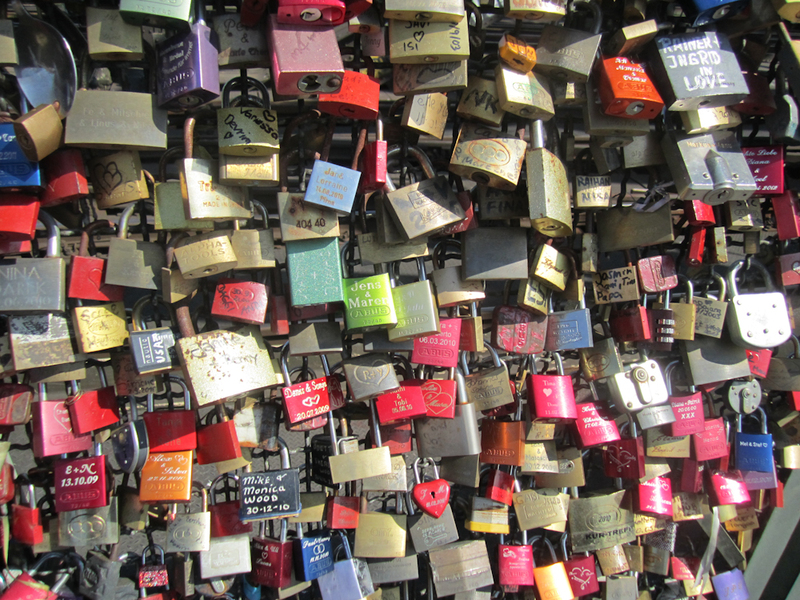 I spent quite awhile looking at locks when we were up on the bridge. I didn’t realize you could climb the spire of the Dom. That would have been cool, but we did go inside.